Pinch River campground in Kosciuszko National Park is a great place for camping if you want to enjoy bushwalking, mountain biking, birdwatching, swimming or fishing. Bookings are not available at this campground. Noise restrictions apply at this campground. There is limited mobile reception in this park. Pinch River campground, in the southern (Lower Snowy) precinct of Kosciuszko National Park, offers a large, peaceful camping area nestled by the river, surrounded by tall eucalypts, cypress pines and flowering wattles in spring and summer. Enjoy swimming, fishing, liloing and paddling from dawn to dusk, or set out on bushwalking, mountain biking or horse riding adventures on some of the many great trails in this section of Kosciuszko National Park, including Pilot Wilderness mountain bike ride. Autumn and spring are warm enough to enjoy the water, without the extreme heat that summer can bring. During winter, this area also provides a place to escape the cold and ski resort crowds in Jindabyne. Resident kangaroos, wallabies and emus can be seen around the campground during the day, while wombats and quolls can be spotted in the evening. An iconic endangered species, the southern corroboree frog, found only in Kosciuszko National Park, faces the grave threat of extinction. Saving Our Species aims to prevent this from happening by battling chytrid fungus, protecting frog habitat from pests, and fostering a captive breeding program. The Lower Snowy River area is open all year, but some roads and trails may close due to weather conditions or park management issues. 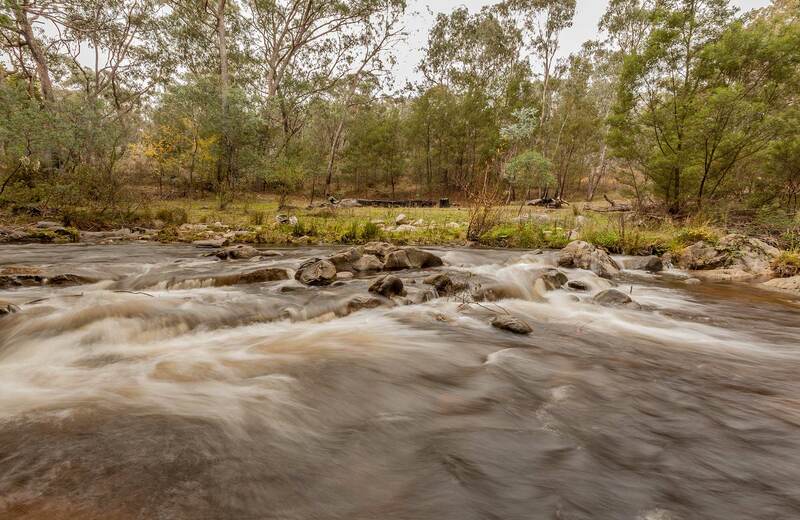 No park entry fees apply in the Lower Snowy River area. See vehicle entry fees for other areas in Kosciuszko National Park.